What is Plaster of Paris ? Home | What is P.O.P. ? Plaster of Paris is basically a building material that consists of a fine, white-colored powder, known as calcium sulfate hemihydrate. The Egyptians, Greeks and Romans used Plaster of Paris for sculpting their tombs and other monuments, as well as for fireproofing in buildings. 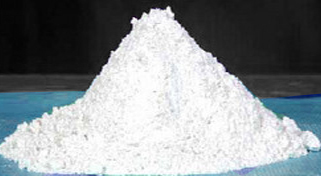 Plaster of Paris is obtained by heating gypsum or calcium sulfate dihydrate to about 140 - 180°C. When gypsum is heated to such a temperature, it loses three-quarters of its water content, leading to the formation of Plaster of Paris. The name Plaster of Paris is derived from the large deposits of gypsum in the Montmartre hill in Paris. USP of Shriram Nirman P.O.P. Shriram Nirman P.O.P. is one of the best quality P.O.P. available in the market today, with very low silica content, which gives saving over other P.O.P.s. It gives high strength on setting with extra white colour The ultra white P.O.P. gives whiter surface and reduces the consumption of paint. Superior fineness gives good workability and more area coverage. It also gives strong bonding with wall and ceiling. Perfect setting time (Initial: 15 to 20 minutes Final: 28 to 30 minutes) This reduces wastage during application, and provides a crack free surface. Consistent quality and weight-Each lot of Shriram Nirman P.O.P. is subjected to stringent quality control and checks to ensure the best quality is delivered to the market. Each bag delivers the quantity as promised lot after lot. Residue is insoluble particles in P.O.P. Minimum 2.5% residue is required for strength. Setting time is achieved due to proper heating of gypsum in calcination process. Late setting time leads to less wastage of P.O.P. as contractor have more time to apply the material. Fast setting time leads to more wastage of material. Fineness gives more coverage hence cost of application is reduced. © 2013 Shriram Cement Works | All Rights Reserved.